Why Is NDTV So Abusive In Reporting On PM Modi? 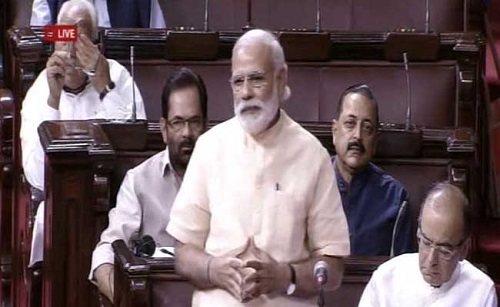 PM only said the following to the retiring Congress Rajya Sabha members, “I wish the GST would have been passed during your tenure in the Rajya Sabha. People in your states would have benefited from it.” And later, “Wherever you go, whatever you do, please keep sending your ideas and work for the betterment of your state. I would like to thank you on behalf of the government for your valued contribution, and wish you the best for the future.” Here is NDTV’s original headline, “PM Narendra Modi’s GST Barb To Retiring Rajya Sabha Members”. DEAR READERS, HOW DO YOU SEE THE HEADLINE VERSUS WHAT WAS ACTUALLY SAID?